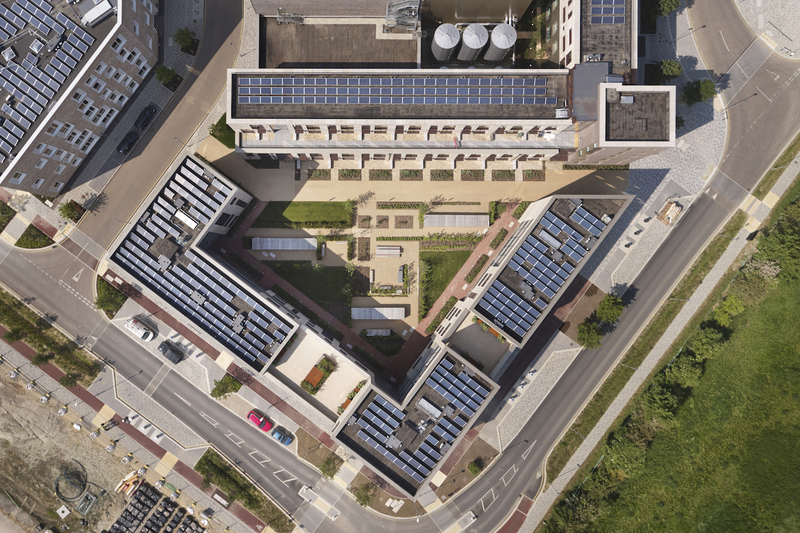 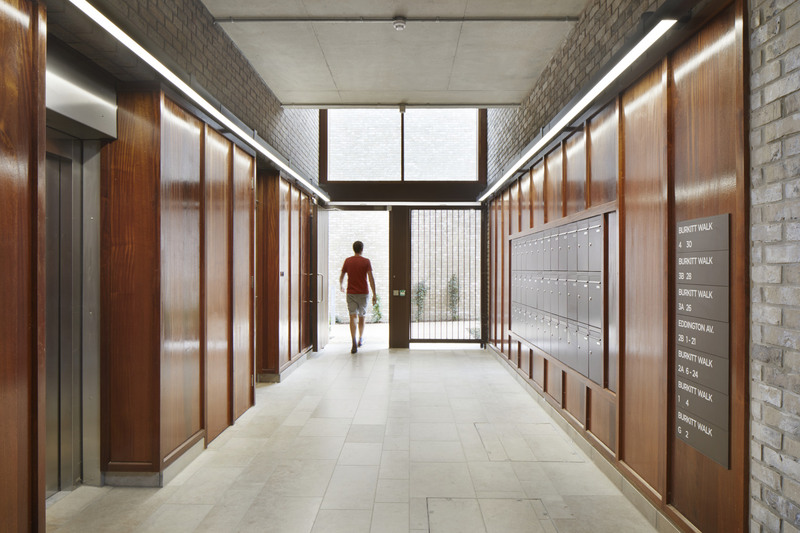 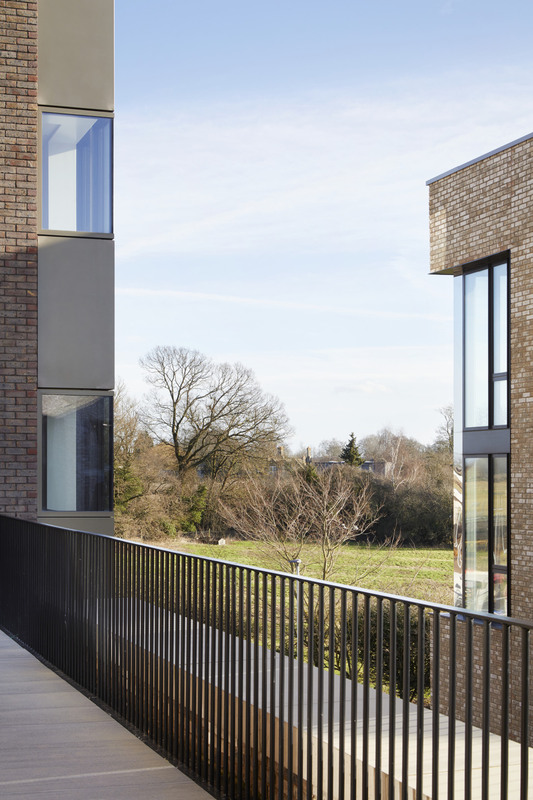 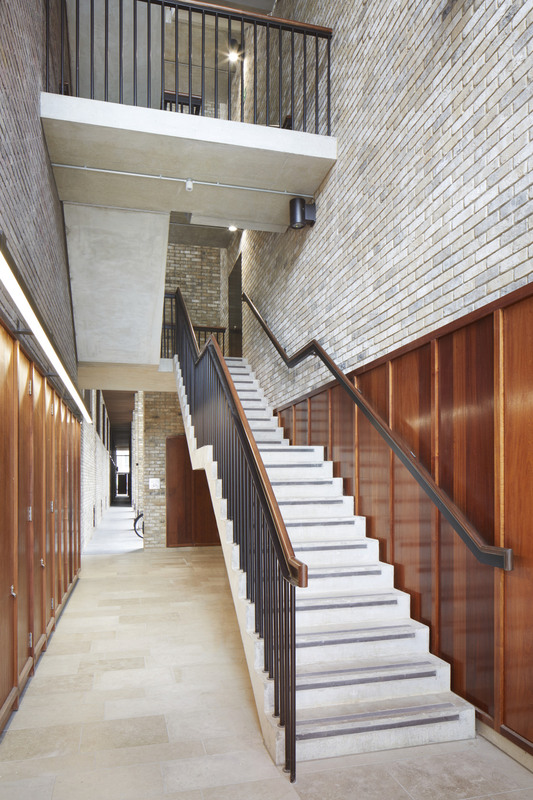 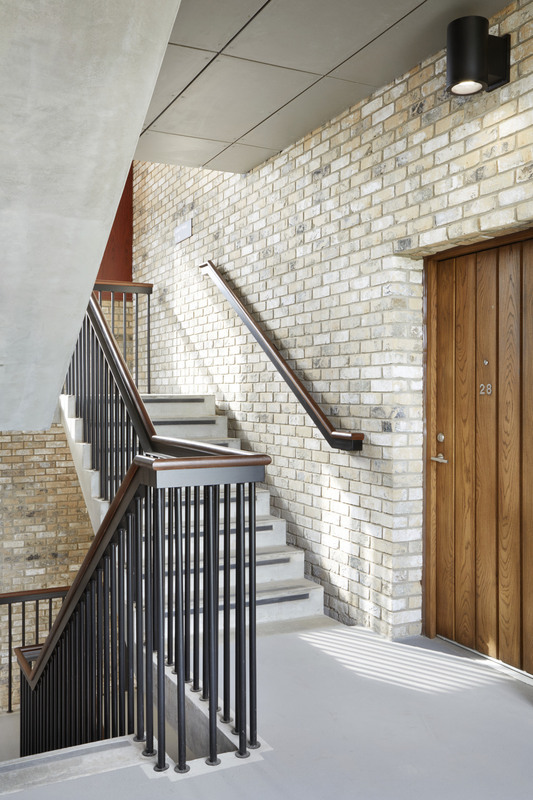 Mole Architects designed and delivered three linked buildings, including a health centre, estates offices and postgraduate apartments, for The University of Cambridge. 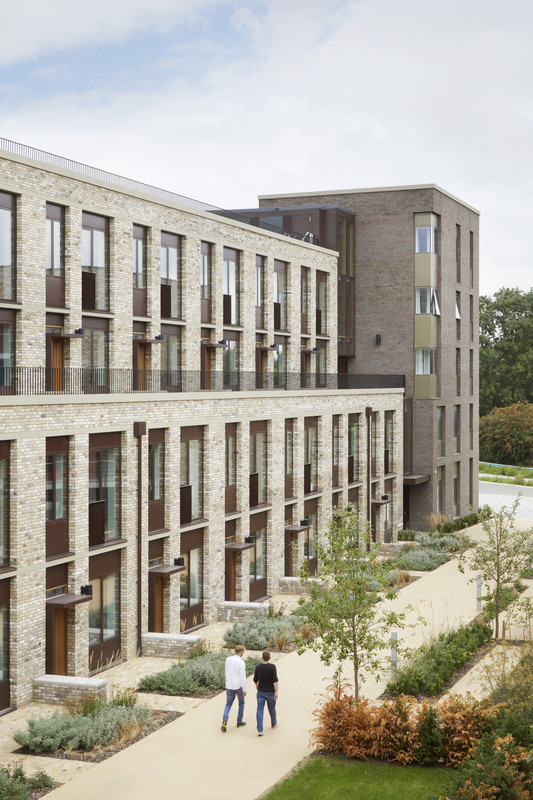 The building forms part of the first phases of Eddington, a £1 billion city district in the North West of Cambridge, including 1500 homes for its staff, 1500 private houses for sale and accommodation for 2000 post-graduate students, and various community facilities. 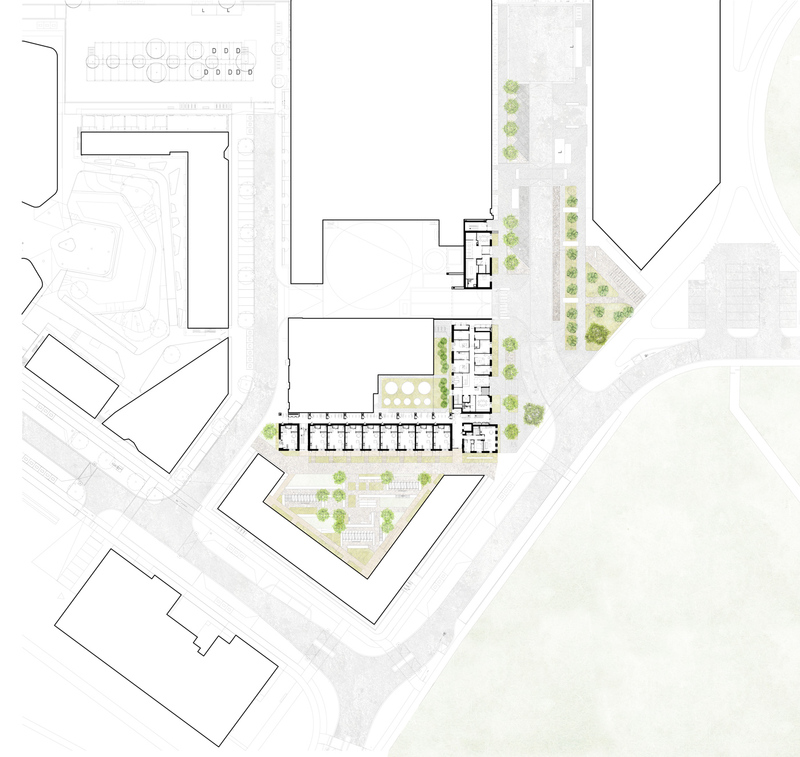 "It is an exceptional achievement as a piece of new town-making, containing myriad lessons on good practice - developer/local authority co-operation, collaborative design working, integration of a green agenda - that will be drawn on by other schemes long into the future." 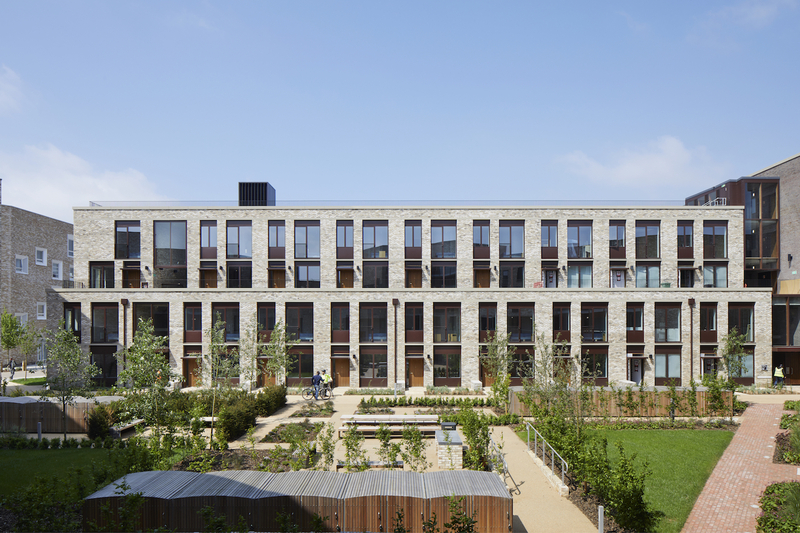 The buildings were designed as part of a mixed use urban block in partnership with Wilkinson Eyre, and includes a range of uses to serve this new city district. 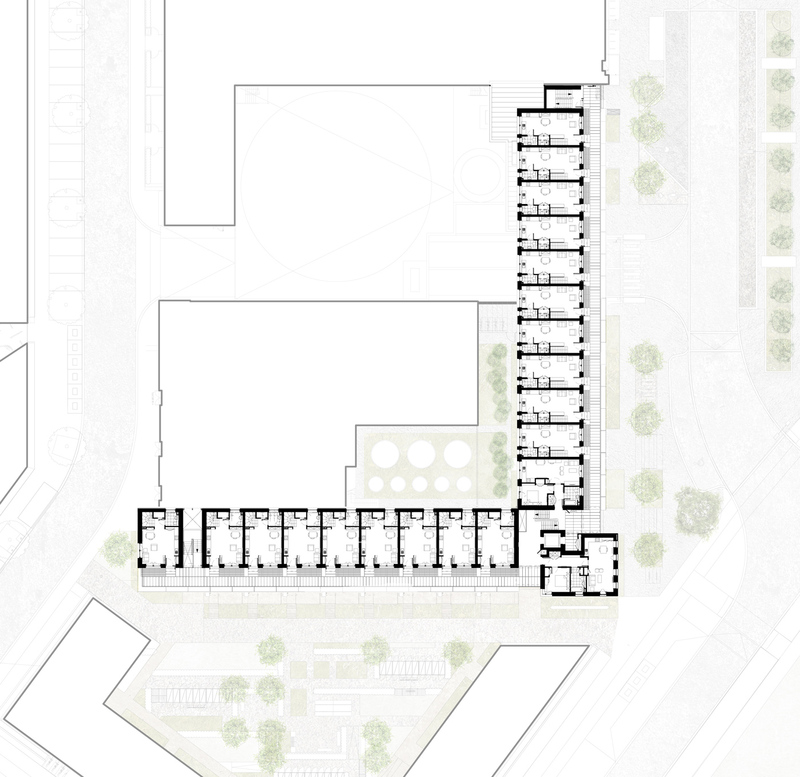 The buildings wrap around the larger volumes of the food store service yard and energy centre, allowing the more functional areas in the middle of the block to be integrated. 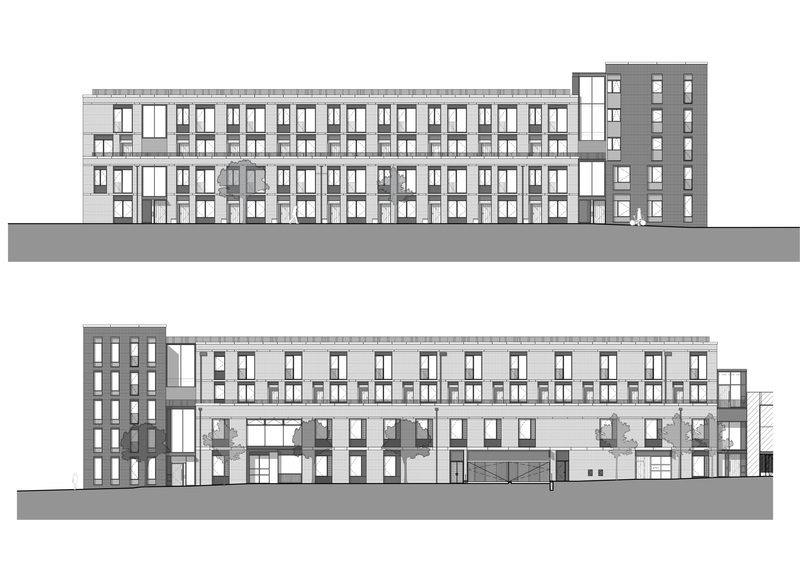 Varied residential block typologies and active street frontages creates a positive architectural identity and streetscape character. 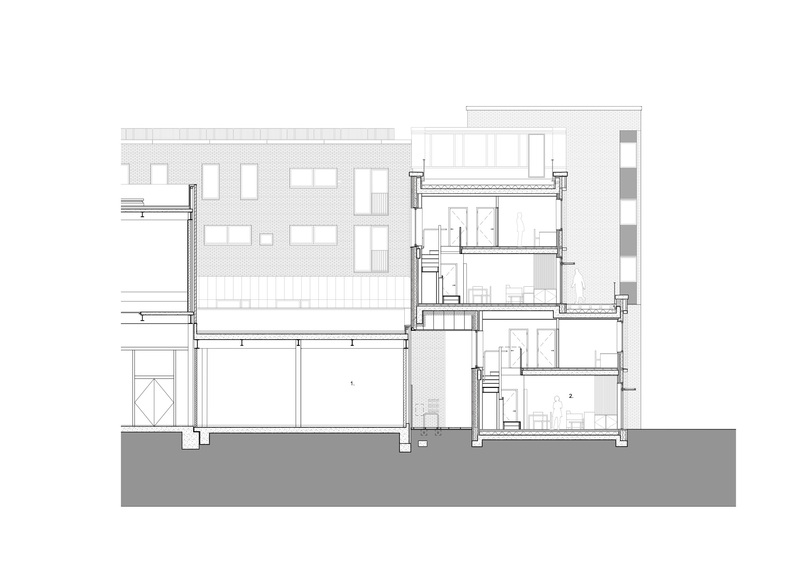 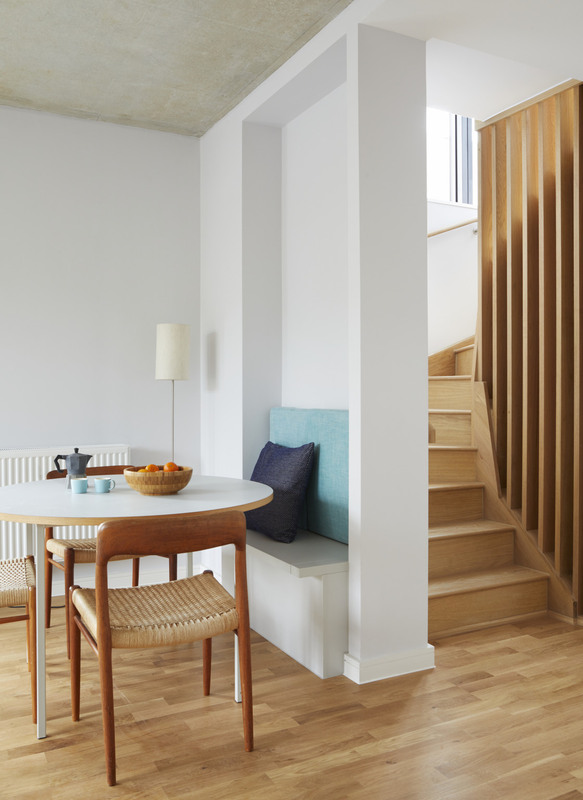 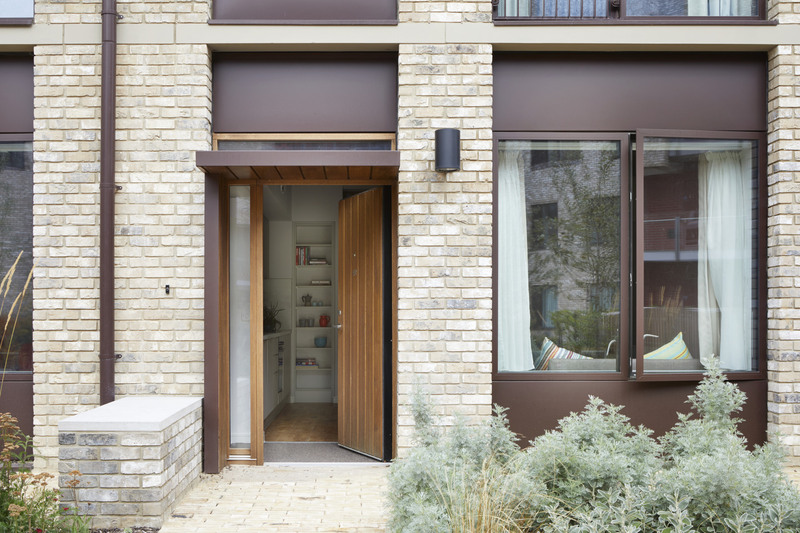 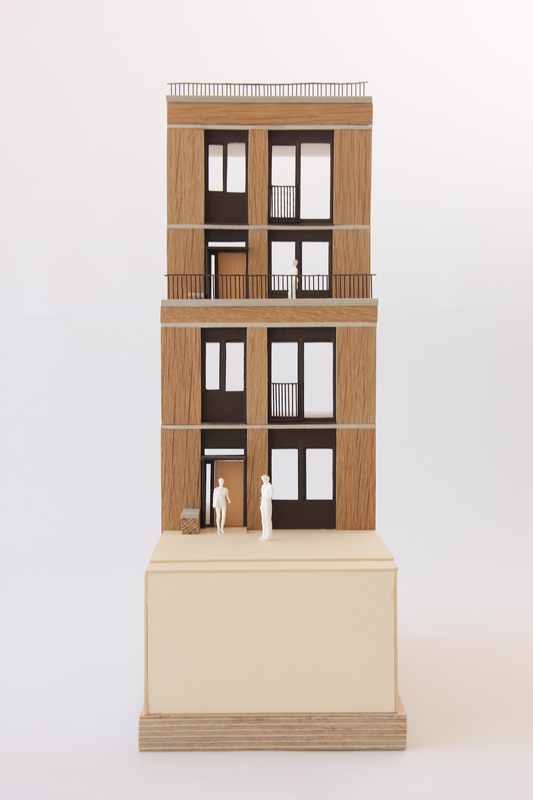 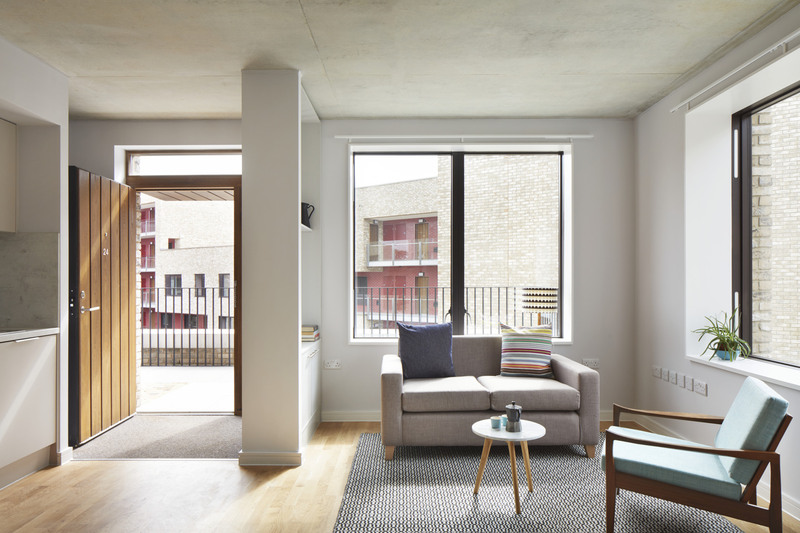 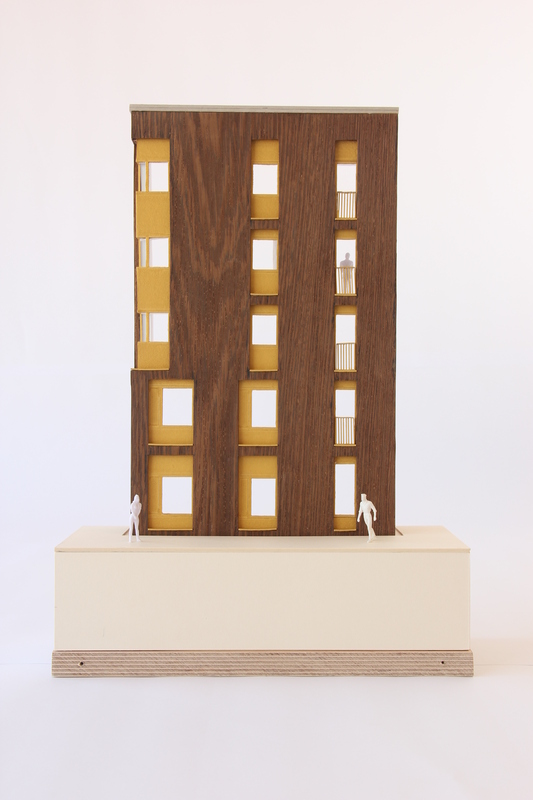 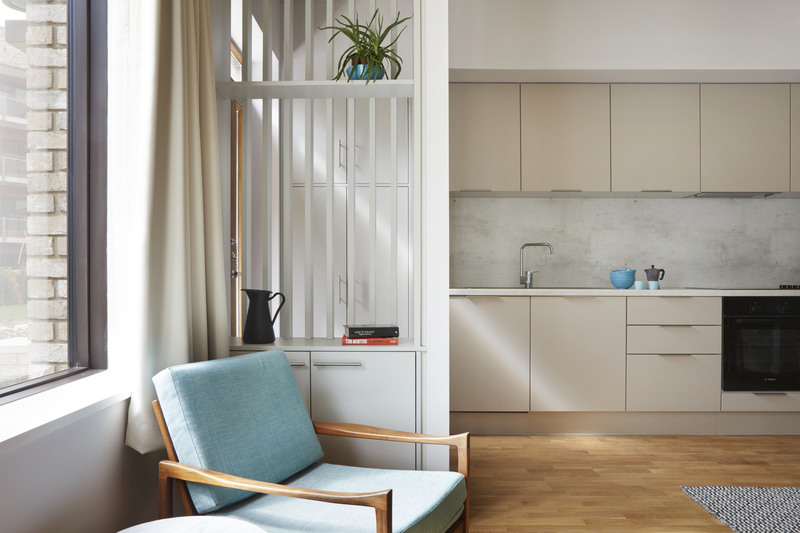 Light-filled and tightly planned, the duplex apartments feel more spacious than the relatively modest footprint, and incorporate best practice guidance from the London Housing Design Guide, Code for Sustainable Homes Level 5 and Lifetime Homes. 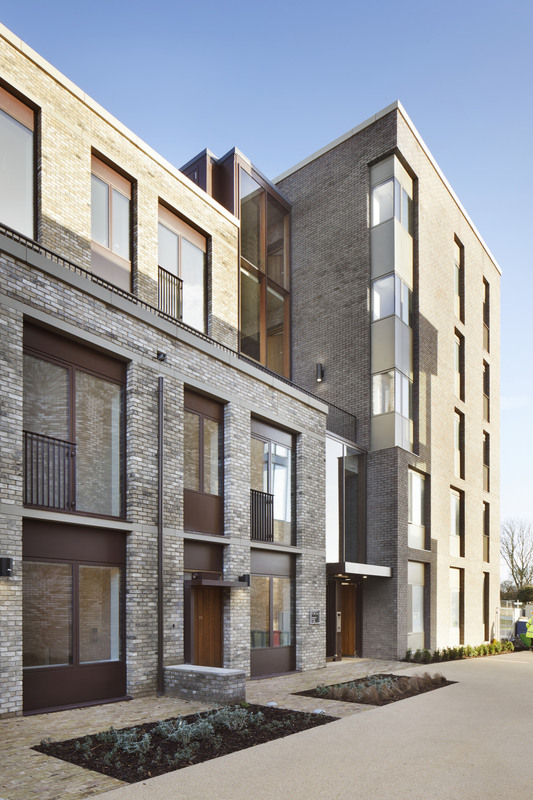 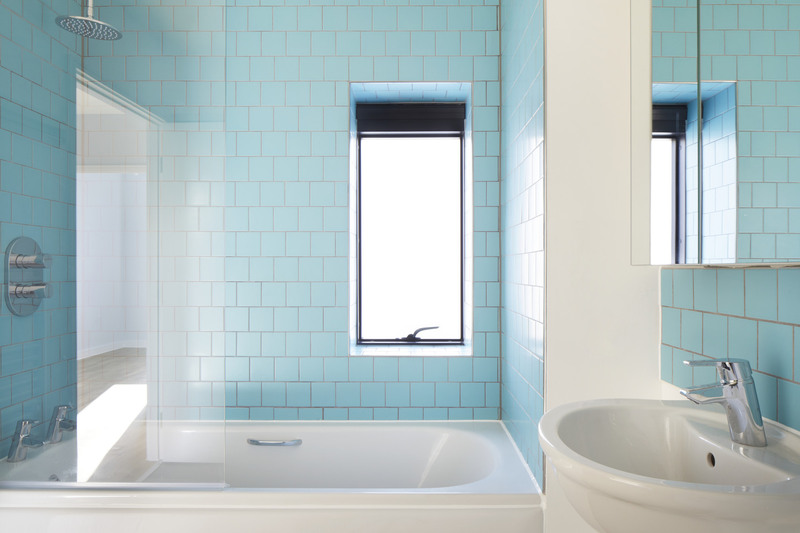 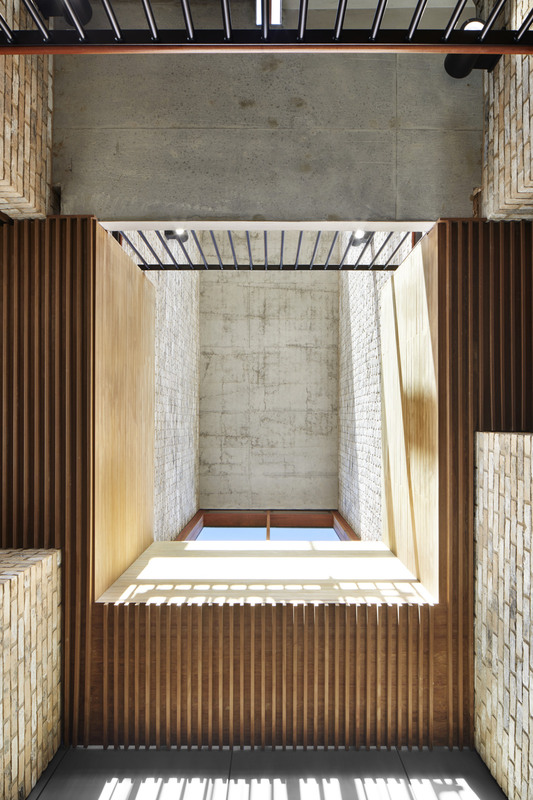 The sustainable design criteria included high daylight and fabric energy efficiency standards (FEES), with each junction detailed to achieve the required thermal bridging performance, and each window analysed for daylighting and over-heating performance. 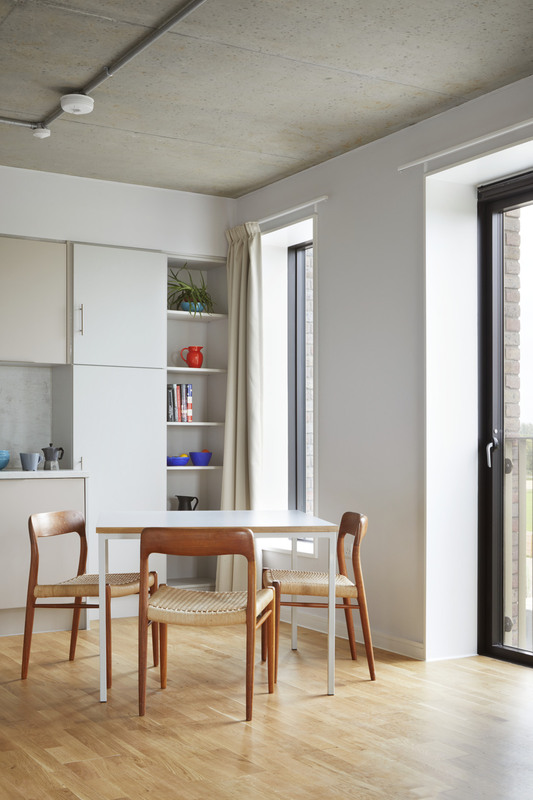 The dwellings are all naturally ventilated, served by a central combined heat and power energy centre.